The entry of District 5 Councilman Jim Strickland into the race for Mayor of Memphis has set up a free-for-all in the race for his district. Right now there are four people who have either declared, or are openly considering a run. I’ll be honest with you, I only know two of them, and a third, I only know anything about because of a Facebook post. Hardly much of anything to go on. Still, its a long way to October, and candidates have plenty of time to define themselves…or be defined by each other. I’ll tell you what I know, and look at the way the district’s been voting. And if any of you candidates want to chime in with links or more information, do it in the comments. I found out about Morgan’s potential candidacy through this Commercial Appeal article announcing another candidates run. Morgan doesn’t have much of an online profile. His Facebook profile is locked down. As of this writing, there is no Facebook page, twitter handle, or website for his campaign. What can be found is that he is the child of Musette and Allen Morgan, the latter of Morgan Keegan fame. I also found this old MUS newsletter talking about Worth’s childhood liver problems, and the family’s commitment to funding research. By virtue of his family, Worth could be a strong fundraiser (I know that’s a stereotype, but I don’t have much else to go on) or could possibly ‘self-fund’. As for positions, I have no idea. It seems odd to me that a potential candidate would put themselves out there without anything to begin defining them. But, if you subscribe to the money vs. message worldview (which I’m not sure I do because that worldview assumes mutual exclusivity) whatever message Worth comes up with, he’ll most likely have the money to get it out to the masses. Does he have the public profile to compete in what will likely be one of the most competitive races this fall? That remains to be seen. Pickard (aka Chooch) organized an exploratory committee for the District 5 seat in late 2014. An architect by trade, Pickard has been involved in several public and non-profit organizations over the past 6+ years. In 2009 he was named Executive Director of the Memphis Regional Design Center, an organization that seeks to bring economic stability through land use, planning and design. That may not sound like a big deal in Memphis, a city where folks consistently list crime and poverty as primary issues, but the wealth of vacant and blighted properties in Memphis only exacerbates those problems, and makes for convenient havens for crime. Those vacant properties also represent a decreased property tax base, which means less revenue, which then translates to fewer services and higher taxes. At the very least, land use is an issue that must be tackled in tandem with these other issues that grab more headlines. 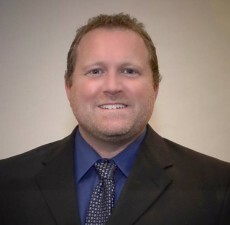 Currently, Pickard serves on the MATA board and is the Executive Architect at City South Ventures, which is seeking to redevelop the U.S. Marine Hospital, which is just south of Crump and the South Bluffs area. Pickard announced on his Facebook Page that he would have a meeting to make a decision about a potential run. So far, no word on whether he’s in for sure or not. Dan Springer announced his candidacy mere moments after Strickland announced his run for Mayor. The two articles were competing with each other on the CA website. But that shouldn’t come as much of a surprise, Springer interned with the law firm of Kustoff & Strickland several years ago, so he likely had an inside track. 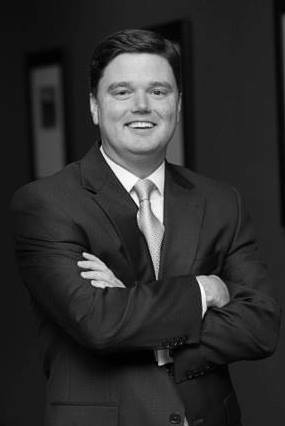 Currently Springer serves as the Director of Communications for Evolve Bank & Trust. 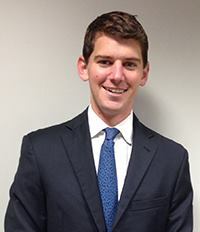 Previously he served as an Executive Assistant to Shelby County Mayor Mark Luttrell and a Legislative Aide to U.S. Senator Bob Corker. According to people who know Springer, his GOP bona fides notwithstanding, he’s moderate and open minded. Its hard to say how Springer’s GOP background will play in District 5…which has been a swing area in the past two County elections (Luttrell carried the area, but Democrats were voted in on the County Commission). By virtue of his relationship with Mayor Luttrell, there’s little doubt he will have a strong fundraising operation. Wilder has been a fixture in the Evergreen Vollentine neighborhood for as long as I’ve been in Memphis (which means even longer than that). Wilder is a strong advocate for neighborhoods, and has been active in several civic and political organizations for quite some time. 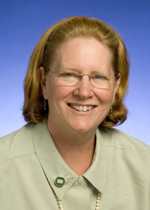 In 2007 Wilder was named to the Tennessee State House District 89 in an interim position after State Senator Beverly Marerro won the Senate District 30 seat. In 2007 she ran for Memphis City Council District 9 position 3, losing to Reid Hedgepeth in a tight 3-way race. Wilder is retired but was most recently the Facilities Director at MIFA. Wilder’s strong ties to the community and neighborhood advocacy make her an early favorite, especially with the Midtown corridor of District 5. The Midtown area has very high voter participation compared to other areas in District 5 and Wilder is a well known and respected quantity in those areas. Mary’s track record as a community advocate will also likely play well in the struggling neighborhoods within District 5. Many of those neighborhoods have been thirsting for a strong voice on the Council and feel a bit like an afterthought in both Council and County Commission discussions. Of course, its still early, and perhaps too early to make any decisions about anything, but Springer came out of the gate strong, and that means the other candidates have a little catching up to do. It will be interesting to see what the candidates report on their early financial disclosures next month. The deadline for petitions isn’t until July, but the race, like it or not, is well underway. District 5 has some of the highest turnout, and has more concentrated wealth than perhaps any other single member district that will be in play this cycle. That means candidates will have to raise a lot of money, and have robust organizations to get their message out. District 5 is also a 50%+1 district, meaning, with at least four people (so far) vying for the seat, there’s the very real possibility of a run-off election a month after the October election. This makes organization and fundraising even more critical in the months before the July petition deadline. Its going to be very interesting. As I find out more about the individual candidates, I’ll update this post. Ed. Note – If you’re a candidate for District 5 and have more information you’d like me to include in this post, shoot me a note via my Contact Page. Next A Shake-up, or a Shakedown? Charles Chooch Pickard liked this on Facebook. Michelle Swanson Bliss liked this on Facebook. Ann George liked this on Facebook. Michael O’Brien liked this on Facebook. Josh Simpson liked this on Facebook. Pearl McLin liked this on Facebook.